Below, some of the cases reported by Hazards in the past two years. Britain is facing a cancer epidemic which has been almost entirely missed in official statistics. Hazards editor Rory O’Neill reports on an occupational cancer crisis that is killing 50 people every day and calls for an urgent and fully resourced public health response. Jonathan Kay (right) died in August 2005 at the age of 40. Shortly before his death, he had learned his employer, Kelda Group plc – formerly Yorkshire Water Authority – had admitted liability for the asbestos cancer that was to kill him. Mr Kay, a graduate engineer and father-of-two, did not live long enough to discover how much compensation the firm would pay out. Four months before his death from mesothelioma, a cruel and invariably fatal asbestos cancer, he said: “There was a level of dust that you could see in the air. You could taste it in your mouth.” Mr Kay said his employers never gave him protective equipment, even though the government had introduced strict regulations regarding the use of asbestos some 20 years previously. ”They should have provided me with appropriate guidance, information and equipment and none of that happened,” he said. Jonathan Kay is one of a new generation of younger workers succumbing to asbestos cancers. Barry Welch (right) was just 32 when he died of the asbestos cancer mesothelioma in April 2005, his death the result of a cancer which until recently was assumed to be a disease of old age. His exposure to the fatal fibre is thought to have occurred in childhood, caused by dust on his stepfather’s work clothing (Hazards 91). Neither Jonathan nor Barry had spent years in highly polluted heavy industry. They form part of an emerging epidemic which authorities failed to spot and, for the new generation of workplace killers, are doing precious little to prevent. More than one in three people in the UK will be diagnosed with cancer in their lifetime. One in four will die from cancer. More than a quarter of a million people in the UK are diagnosed with cancer every year (1). Figures for England alone in 2003 put the total death toll for the year at 126,800. The UK figure for 2002 was over 155,000. Cancer death rates in the UK have changed little since 1950, while the other major causes of death – heart disease, stroke and infectious diseases – have all declined. Cancer became the most common cause of death in females from 1969 and in males from 1995 (2). It is a very modern killer. Cancer accounted for about 25 per cent of all deaths in England and Wales in 2000, compared to 15 per cent in 1950 and less than 5 per cent in 1901 (3). The number of people in the UK diagnosed with cancer is increasing, as is the proportion of UK deaths caused by cancer. Lung cancer reports were relatively rare at the start of the 21st century. It did not even have an International Classification of Diseases (ICD) code until 1940. The massive increase in smoking in the 20th century was an indisputable and major cause of the lung cancer explosion. But coincident with the explosion in smoking, was an explosion in workplace exposures to a continually widening pool of workplace substances that had been poorly studied and which were, for much of the century, poorly controlled. While smoking cessation has become a major public health priority and has spurred an entire prevention industry, no similar campaign has been waged to address the carcinogens encountered and inhaled by millions at work. Primary prevention – removing the risks – could prevent all occupational cancers. But too little official regard for the risks has meant precious little regard for prevention. In August 2005, the family of a nurse who died after being exposed to asbestos dust in a hospital was awarded £175,000 in damages from the Department of Health. Rebecca Little (right), 53, of Catterick, died in February 2002 from the asbestos cancer mesothelioma. Her family, with legal support from Mrs Little’s union Amicus, had fought to prove her illness was caused by exposure to the dust at a London hospital in the 1960s. The Department of Health eventually admitted liability for breach of duty of care. Mrs Little trained as a nurse at the former Charing Cross Hospital between 1968 and 1970. Her husband, Dr Julian Little, also worked at the hospital and was able to provide evidence about the presence of poorly maintained asbestos. He said his wife’s motive in starting the case was to highlight the dangers of asbestos in old hospitals. 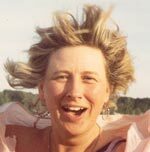 Irwin Mitchell also represented the family of hospital cleaner Vanda Johansson-Corcoran, who died in October 2003 aged 60 from the same cancer. An inquest ruled in September 2004 that her death was caused by an industrial disease after years of being exposed to asbestos while cleaning a boiler room at Airedale Hospital, Steeton, near Keighley. She had worked as a cleaner at the hospital from 1978 to 1981 and was diagnosed with mesothelioma in August 2002. An increasing number of workers are not living long enough to claim their pension, thanks to this asbestos cancer. 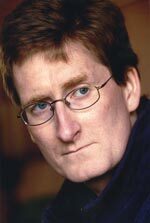 Barry Welch was just 32 when he died of mesothelioma in April 2005. Melvin Raymond was 63 when mesothelioma killed him in February, Derek Trelfa was 66 when he died of the same condition in January and Sylvie Tapley and Janet Watson were both just 59. Joiner Ian Lunn who died in August 2004 was 61 and shipyard work Ian Cruickshank only 52. Former electrician and organic farmer Raymond Gould died in August 2005 from mesothelioma aged 60, seven weeks after being told he had contracted the disease. Cleaning company boss Mike Brien died of mesothelioma in March, aged 53. Two of the most common work-related cancers, mesothelioma and lung cancer, have another thing in common – they are potent killers. Mesothelioma is invariable fatal. The mortality rate for lung cancer in the UK is 95 per cent. Jim joined the gas board in his mid-teens as an apprentice electrician. He worked at gas works around the north west producing “town gas”, where coal was heated to produce gas for industry and domestic use, from 1961 to 1969. He was made redundant as Britain’s North Sea natural gas supply came on line. The tarry waste is rich in polycyclic aromatic hydrocarbons (PAHs) and other toxins. Direct contact with the skin is known to lead to an increased bladder cancer risk in town gas workers. And Jim had other exposures to highly dangerous substances while doing the job. Carbon tetrachloride, a highly hazardous cancer causing solvent, was used in open bowls to clean off the oily deposit from machinery. Asbestos lagging was everywhere. Keith McFadzien Jones was barely out of childhood when he first worked with asbestos. In February 2005 he was told, aged 50, those exposures in his youth had given him mesothelioma, an asbestos cancer few survive for more than two years. “It’s terribly wrong,” he says. “I was an innocent, I left school, went to a place of work. I had been cared for all those years by my parents who handed me over to a firm as a bonded apprentice joiner hoping they would care for me. They did not provide that care, knowing how dangerous this stuff is. Keith was 15 when he was taken on by a joinery offshoot of Sheffield building firm Gleesons. “We were never warned about asbestos risks. We’d cut it, then eat our lunch at the same spot.” Keith worked periodically – sometimes for a few days, then maybe not for months – with “asbestolux”, an asbestos board with a relatively high asbestos content. He used disposable masks “for the sawdust. Everyone thought that was the greatest hazard, but the dust was always in your nose, like snuff. It must have been the same with the asbestos. He has since had a radical extrapleural-pneumonectomy, a rare, experimental procedure in the UK which involved him “being opened up front and back” to remove the tumour that encircled his chest cavity. Surgeons say it is about the most extreme operation a human body might survive. He’s had chemo- and radiotherapy and is taking 24 different tablets a day, including morphine-based painkillers. He knows all this is probably an effort to extend his life, not cure him. He now receives a disability pension but his wife, who is Russian and who has to care for him, receives nothing. “My wife can’t claim anything because she is not a UK citizen. But it’s her that is having to get up in the night because I feel unwell, who has to take care of me. It’s so unfair on her. These cases are not exceptional. Tens of millions of UK workers have faced deadly risks at work in recent decades. They were not warned of the risks. They were not provided protection. And their employers did not track them down to issue potentially lifesaving guidance on the need for vigilance and health surveillance. And the response of the UK government and safety authorities has been just as complacent. Working out the relative contribution of lifestyle, diet, pollution, occupation and other factors to the overall cancer toll is at best informed guesswork. The Health and Safety Executive’s cancer webpages, updated in 2005, give HSE’s best guess. It says: “Our current best estimate is the proportion of cancer deaths in Great Britain due to occupational exposures over the last few decades is 4 per cent, with an associated uncertainty of 2 per cent to 8 per cent. Applying these estimates to the latest five year’s mortality data for Great Britain provides an estimated annual number of cancer deaths from work-related causes of 6,000 (uncertainty range 3,000 to 12,000)” (4). An annual total of 6,000 deaths from occupational cancer is certainly a major public health concern. It is almost double the annual number of deaths on the road and is more than 20 times the number of workplace fatalities each year. However, HSE has got things badly wrong in two respects. Firstly, a cursory glance at occupational cancer deaths in the UK quickly reveals HSE’s figures do not reflect the real toll. Official figures show 1,874 people died of the asbestos cancer mesothelioma alone in 2003 (6). Its notoriously inadequate occupational cancer reports picked up 616 occupational skin cancer cases in 2004 (4). The figure is approaching HSE’s lower estimate and we have only looked at two cancers, and lung cancer – far and away the most common and most deadly occupational cancer – isn’t included at all yet. Doll/Peto estimated work accounted for 15 per cent of all lung cancers in American males, which would equate to over 3,000 deaths in UK males in 2002. A 2005 British Medical Journal paper put the number of work-related passive smoking lung cancer deaths alone at 160 in just one year (7). Asbestos related lung cancers alone will at least match the mesothelioma total (8). What HSE doesn’t say is that the Doll/Peto figure is just one of a number of estimates, and is much lower than many of the other estimates reported in the literature. A simple investigation of Doll/Peto’s methods reveals they produced a figure that by design fell considerably short of the true toll. How far short is a matter of debate, but in terms of deaths per year, we are talking thousands. Even Doll/Peto acknowledged their estimates amounted to no more than informed guesses, noting it was “impossible to make any precise estimate of the proportion of the cancers of today that are attributable to hazards at work.” It is possible to identify significant flaws in Doll/Peto which mean it can only be a large under-estimate of the true toll. The impact of the ensuing occupational cancer epidemic went beyond traditional industrial jobs. Ex-teacher Alan Anthony died aged 72 on 27 May 2005, his mesothelioma linked to renovation work in the school he worked at in the 1970s. Hairdresser Janet Watson, who had worked in hair salons for 30 years, died aged 59 from the same condition. 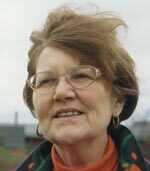 Her death in September 2004 was judged to be “death from an industrial disease” at inquest, caused by the asbestos commonly used in old-style hood hairdryers. Neither of these deaths would have been included in the HSE-approved cancer estimates – teachers and hairdressers didn’t figure in Doll/Peto’s at risk group. Neither did health workers. Hospital consultant James Emerson died aged 45 from mesothelioma caused by exposure to damaged asbestos lagging in a hospital during his time as a medical student and junior doctor. Thousands have gone on to die from cancers they just shouldn’t have developed, at least according to the Doll/Peto estimate, including the family members of workers exposed to asbestos, who got a second hand “paraoccupational” dose from the contaminated clothes and hair of a family member. And asbestos is just one of many potent occupational carcinogens encountered by millions in Britain’s workplaces. HSE, however, embraced the Doll/Peto figure. The result has been little priority paid to the prevention of most occupational cancers, creating one of Britain’s most lamentable, preventable public health disasters. Two major US reports published shortly before the Doll/Peto report – one from US government organisations (9) and another backed by employers’ organisations – put the occupational cancer contribution at at least 20 per cent of all cancers, with the industry-backed report conceding occupational cancer constituted “a public health catastrophe” (10). While industry groups and HSE embraced the Doll/Peto estimates, others were more critical. 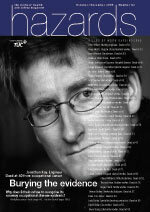 Hazards magazine warned in 1996 that the estimate “was always suspect and is now totally discredited” (Hazards 58). A 1995 paper in the Mt Sinai Journal of Medicine said the occupational cancer figure was too low and added it failed to take account of the limitations of the data on which it was based (12). This paper and others noted that the Doll/Peto estimate was limited to an analysis of deaths in those under the age of 65. Cancer is primarily a disease of the old – only 26 per cent of the deaths in England in 2003 were in people under the age of 60 (3), so it is likely the great majority of occupational cancers would have been omitted from the figure. Doll/Peto not only top sliced the numbers, it only considered cancer risks posed by a list of 16 substances or industries. The International Agency for Research on Cancer (IARC), however, classifies 89 substances as definite human carcinogens, 64 as probable human carcinogens and 264 as possible human carcinogens. A 2004 paper in the journal Environmental Health Perspectives reported that this included 28 definite, 27 probable and 113 possible human occupational carcinogens (13). Occupational cancer risks to women are almost entirely ignored in the Doll/Peto analysis, which concentrated on jobs which in the preceding decades had been largely the preserve of men (14). According to Dr Lorenzo Tomatis, who until 1993 headed the International Agency for Research on Cancer (IARC) programme evaluating chemicals, there is a marked double standard in operation when it comes to proof of risk. “A necessary requirement for declaring an environmental chemical carcinogenic to humans is that conclusive epidemiological studies support a causal relationship, and particularly robust evidence for an association between occupational exposure and human cancer is required because a causal association is accepted, while the evidence for a contribution of dietary factors to the cancer burden is usually circumstantial and, in come cases, rather weak,” he said. He told a Collegium Ramazzini conference in September 2005: “Punctilious precision is used in calculating occupational and environmental risks, while a wide latitude is allowed for risks related to diet, ranging between 10 per cent and 70 per cent.” He added that Doll/Peto acknowledged that occupational cancinogens “tend to be those which increase the risk of some particular type(s) of cancer very substantially,” and others might not have been detected simply because they have not been investigated or because the exposure concerned a small number of individuals, and no suspicion was raised. According to Dr Richard Clapp (right) of the University of Boston Medical School, co-author of the September 2005 review (11): “Using the 1981 Doll/Peto estimates for occupational cancer probably underestimates the occupational exposure contribution by a factor of two to four in both the US and the UK.” This would mean an occupational contribution to the UK cancer total of between 8 and 16 per cent. Dr Clapp told Hazards: “I believe occupational lung cancer is the leading work-related cancer followed by bladder cancer, non-Hodgkin's lymphoma, and leukaemia. Our review paper gives the scientific studies which back this up, along with the various exposures that cause these cancers. 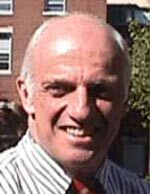 Dr Samuel Epstein, emeritus professor of environmental and occupational medicine at the University of Illinois at Chicago, puts the occupational figure in the Clapp range, saying “based on minimal estimates” occupational carcinogenic exposures are responsible for 10 per cent of overall cancer mortality adding that for certain occupational exposures, mortality rates are much higher (15). Professor Andy Watterson (right) of Stirling University’s occupational and environmental health research group, believes Clapp’s estimate of real occupational cancer incidence “is about right” and is critical of HSE for failing to act on “significant and serious health risks from workplace carcinogens. Even at Clapp’s lower estimate of 8 per cent of all cancers being work-related, the UK figure would be of the order of 12,000 deaths a year and about 20,000 new cases. Whichever figure you choose, the loopholes in Doll/Peto’s analysis mean the UK’s official estimate of 6,000 occupational cancer deaths certainly misses thousands of deaths a year. The shortfall on new cases is more marked still, falling short by well in excess of 10,000 cases a year. Some occupational cancers ignored in the UK are not just recognised, but are also officially compensated in other jurisdictions (see Cancer in Canada, coincidence in UK below). HSE has a reluctance to raise the spectre of occupational cancer risks, even where they are well established. A webpage on metalworking fluids created in 2005 (16) omitted entirely any mention of cancer risks. Dr Frank Mirer, director of the US autoworkers’ union UAW wrote to HSE saying: “I find the omission of a mention of occupational cancer in the new page or metalworking fluids to be a significant gap.” He pointed to a series of papers showing an occupational cancer risk (See HSE metalworking fluids guide ducks cancer issue, below). On a rare occasion HSE did revisit its occupational cancer estimates, it revised them down. It now says the ratio of asbestos related lung cancers to mesotheliomas may be lower than 1 to 1 – a 2005 HSE paper puts the ratio of asbestos lung cancers to mesotheliomas at between 2/3 and 1 to 1 - much lower than many other estimates (17). The authors acknowledge their figure will miss some cancers because it under-estimates the effects of chrysotile (white asbestos), which has been the dominant exposure since 1970. And their analysis only includes cancer deaths up to the age of 74, whereas many asbestos related lung cancer deaths occur in older workers. While many observers believe the ratio of asbestos-related lung cancers to mesothelioma may be closing as fewer workers are experiencing the very high exposures which were linked to much higher numbers of lung cancers and a drop in smoking will reduce those caused by the synergy between smoking and asbestos exposure, HSE’s new estimate is significantly lower than generally cited figures. Stirling University’s Dr Jim Brophy described the lower estimate as “garbage”. Dr Joe LaDou, editor of the International Journal of Occupational and Environmental Health, noted in 2004: “The number of lung cancer deaths caused by asbestos is at least equal to the number of deaths from mesothelioma. The ratio may be much higher than 1 to 1, with some reports suggesting up to 7 to 1” (18). If the HSE estimates are troubling, the official records of actual cases are appalling. Even by HSE’s new low estimates, there should be between 1,220 and 1,870 asbestos-related lung cancers recorded every year. Official reporting schemes record fewer than 150 cases a year and the government’s industrial injuries benefits scheme for asbestos related cancers pays out to fewer than 100 people each year (6). And while HSE may have stuck with Doll/Peto’s 1981 estimates of risk, a generation has gone by and new evidence has come to light, including evidence for cancers dismissed entirely by the report or only included in very limited circumstances. A 2004 paper reported the risk of ovarian cancer increases with increased exposure to diesel exhaust at work. It found individuals with the highest cumulative exposure to diesel exhaust had more than 3.5 times the risk of ovarian cancer (19). A 2005 paper concluded exposure to wood dust increased the chances of developing not only nasal cancer but also lung cancer, finding the risk of lung cancer was increased by 57 per cent with wood dust exposure in absence of smoking, by 71 per cent for smoking in the absence of wood dust exposure, and by 187 per cent for individuals who were exposed to both smoking and wood dust (20). The Department of Health’s Committee on Carcinogenicity reported in December 2004 that “there was some limited evidence to suggest an association between farmers/farm workers, exposure to pesticides and increased risk of prostate cancer” (21). A September 2005 paper concluded exposure to polycyclic aromatic hydrocarbons (PAHs) dramatically increased the risk of laryngeal cancer, up by 5.2 times (22). A 2004 paper linked workplace exposure to the pesticide chlropyrifos to a doubling of the lung cancer risk (23). And a slew of papers have linked occupational factors to the development of gliomas, including exposure to arsenic, mercury and pulp products (24), work in pulp mills (25) and other occupations (26). A Health and Safety Executive warning about the cancer risk from the common industrial solvent trichloroethylene came after a period when the safety watchdog had been actively encouraging its use in workplaces. The 2002 HSE warning said that trichloroethylene, often known as "trike," was to be classified as a category 2 carcinogen, which means it may cause cancer. It added that employers should consider using an alternative solvent or cleaning process or, if this was not possible, enclosing the degreasing process as far as possible. Prior to this, HSE had for a decade been explicitly recommending trichloroethylene use as an “ozone friendly” alternative to the more worker-friendly trichloroethane – unions in the 1970s had run successful campaigns to get rid of trike, in some cases negotiating trichloroethane as a safer alternative. In February 2000, chemical manufacturer Dow failed in a bid to stop Australia's chemical standards body NICNAS labelling trichloroethylene as a carcinogen and mutagen. It took a further two years before HSE issued its warning. While HSE has stood still, the evidence has moved on. Evidence on pesticides and cancer, passive smoking and cancer, breast cancer linked to occupational exposures and shift work, the recognition of formaldehyde as an occupational carcinogen and a plethora of other studies all passed HSE by without comment. A spokesperson for HSE told Hazards: “Doll and Peto’s 1981 estimate of the proportion of US cancer mortality due to occupational causes was based on knowledge about the scientific evidence on occupational cancer at that time. Stirling University’s Professor Watterson said: “Even the 4 per cent figure should have provoked a far stronger response from the Health and Safety Commission and HSE and the government than it has, with far greater priority given to developing prevention strategies.” He said road traffic accidents kill far fewer people and have been the subject of a concerted and effective prevention effort by authorities. The Wood Panels Products Federation took issue with UK construction union UCATT in the mid-1990s after the union recommended avoiding MDF (medium density fibreboard) products because they contained cancer-causing formaldehyde and wood dust, which could be inhaled in the copious fine dust typical when the material was worked (Hazards 58). HSE failed to refer to its own evidence showing few employers at that time observed or even knew about their COSHH duties (Hazards 60). HSE's statement came after national TV and press stories linked MDF's chemical constituents to lung cancer, allergies and other health problems. HSE said that it was hardwood and not the softwood that is found in MDF that is classified as cancer-causing in the UK. Formaldehyde released by the bonding resin, MDF's other constituent, was an irritant, it said. In 2004, IARC upped its formaldehyde classification to Group 1. The move followed protracted arguments between the chemical industry - which played down the link - and health advocates, who argued the commonly used industrial chemical should be subject to stringent controls. The working group, which reviewed extensive literature, concluded formaldehyde did cause nasopharyngeal cancer and also found limited evidence for cancer of the nasal cavity and paranasal sinuses and “strong but not sufficient evidence” for leukaemia. Formaldehyde is used in the production of resins that are used as adhesives and binders for wood products, pulp, paper, glasswool and rockwool. It is also used extensively in the production of plastics and coatings, in textile finishing and in the manufacture of industrial chemicals, and as a disinfectant and preservative, formalin, used in labs and embalming. An estimated 1 million workers in Europe are exposed to formaldehyde. IARC Monographs on the Evaluation of Carcinogenic Risks to Humans. Formaldehyde, 2-Butoxyethanol and 1-tert-Butoxy-2-propanol, volume 88, 2-9 June 2004. Occupational cancer remains a low priority, a position in the nation’s public health priorities that can be traced back to Doll/Peto. And it is a low priority also reflected in the approach of health organisations other than the Health and Safety Executive. Cancer Research UK notes on its website: “Most known occupational carcinogens are either banned or well regulated within the UK and the majority of occupation related cancers diagnosed in the UK today are the result of people being exposed more than ten years ago” (28). In fact, regulation has not been a cancer cure. Unlike the case of infectious diseases, where a response is frequently swift and draconian, there are typically long delays between the identification of a carcinogenic agent and adoption of adequate measures of prevention. Even then, measures are usually late and incomplete, and will leave a generation to await their fate as a result of prior exposures. Asbestos and ionising radiation are two clear examples. Contrast the decades of occupational health inaction to the foot-and-mouth disease outbreak in 2001, where the army was deployed and a national campaign was mobilised to deal with a non-fatal animal disease because it posed a commercial but absolutely no human health risk. The asbestos related cancer mesothelioma is a case in point, occurring now in people who had only incidental exposure to asbestos. Only a handful of workplace substances have ever been banned on grounds of carcinogenicity. A UK ban on asbestos - the most prolific ever industrial killer which may claim 10 million lives before it is banned worldwide (18) - only took effect in 1999. An early, precautionary move to safer alternatives would have saved millions. Commercial interests ensured that did not happen. The result of the triumph of commercial interest over public health is that many occupational carcinogens are still encountered regularly in the workplace and today’s working generation is still being exposed to substances and environments that will cause tomorrow’s cancers. And the risk of exposure may, in fact, be increasing. Figures from the French national statistic office DARES published in 2005 revealed more than 1 in 8 workers was exposed to workplace substances that can cause cancer. The analysis of the 2003 SUMER survey indicated that 13.5 per cent of the total French workforce was exposed to one or more of a list of 28 workplace carcinogens (29). The figure was higher than estimates a decade earlier. Blue collar workers were eight times as likely to be at risk, with 25 per cent exposed. Eight products, all common in UK workplaces, contributed more than two-thirds of all exposures – mineral oils, three organic solvents, asbestos, wood dust, diesel exhaust fumes and crystalline silica. For Great Britain, it concludes: “According to the preliminary estimates, there were circa 5 million workers (22 per cent of the employed) exposed to the agents covered by CAREX in Great Britain in 1990-93. The number of exposures was circa 7 million. “The most common exposures were environmental tobacco smoke (1.3 million workers exposed at least 75 per cent of working time), solar radiation (1.3 million workers exposed at least 75 per cent of working time), crystalline silica (600,000), radon and its decay products (600,000), diesel engine exhaust (470,000), wood dust (430,000), benzene (300,000), ethylene dibromide (280,000), lead and inorganic lead compounds (250,000), glasswool (140,000), and chromium VI compounds (130,000)." By this estimate, over a fifth of the UK workforce has been exposed to possible human carcinogens and for these workers most of the resultant cancers will only emerge in a couple of decades or more. But while the evidence of occupational cancer risk is increasing, there is no increased sense of urgency apparent from the authorities. In October 2005 the UK government refused to introduce a blanket ban on smoking in the workplace, choosing instead a legislative fudge which will leave many thousands of hospitality staff exposed to a passive smoking cancer risk. And the anti-regulation sentiment in the European Commission, heightened throughout a UK government European Union presidency which started in July 2005, saw proposed legislative action to reduce the occupational skin cancer risk from exposure to sunlight blocked in September 2005. Skin cancer rates in the UK have doubled in the last 25 years. By contrast Australia, with much higher potential exposures, took sensible preventive measures to reduce occupational risks, and now has a skin cancer incidence below that of the UK. Helen Clark (right), who fought high tech hazards on her doorstep and won acclaim worldwide, died in June 2004. Helen was chair of Phase Two, the campaign group for those fighting hazards and ill-health caused by the microchip industry in Scotland’s Silicon Glen. She suspected the cancer that was to kill her was, like other cases known to the group, related to exposures at the Greenock National Semiconductor plant where she worked. Investigations of high tech cancer, reproductive and other health risks in UK microelectronic plants only took place after concerted Phase Two pressure. The 2001 HSE study found higher than expected levels of four cancers - lung, stomach and breast cancers in female employees, and brain cancers in males. HSE said the results were “inconclusive” and that more research was needed. The findings were criticised as flawed and an under-estimate by campaigners and their advisers. Under pressure, HSE agreed to undertake another study. New industries are emerging all the time, providing potential new processes and new exposures. Little is known about the possible long-term health effects the of vast number of nano-products in development or already in production, for example, but the lesson of history is that today’s wonder product can be tomorrow’s toxic nightmare (Hazards 87). It is generally estimated there are now in the order of 75,000 different synthetic chemicals in regular use. Of these, only about 1.5-3 per cent have been tested for carcinogenicity. Without a precautionary approach to the substances we use and the environments we create at work, we risk condemning thousands of workers to preventable deaths. ISBN 0717621448, HSE, 2001 [pdf]. Even if we evaluate all the available evidence, we may not be evaluating the evidence we need, or evidence that honestly reflects the real occupational risks. Dr James Huff, who headed IARC’s chemical evaluation programme until 1980, said in 2003 that the agency had lost its position as “the most authoritative and scientific source” on cancer risks “due to the increasing influence of those aligned with the industry point of view regarding chemicals and their inert hazards to public and occupational health.” He found representatives with industry sympathies or affiliations routinely outnumbered those aligned with public health at IARC evaluation meetings (31). In the decade from 1993, ratings for eight chemicals were upgraded, but 12 were downgraded. In the preceding decade, before industry asserted its influence on the decision making process, no IARC assessments were downgraded (Hazards 80). In fact it can take a concerted campaign to get action to prevent cancer risks, even when the evidence of harm is overwhelming. A lowering of the maximum permissible workplace exposure levels for benzene was strongly resisted by industry, which is still resisting recognition of the risks of low concentrations (32). This unequal risk of occupational cancer means a minority of the population are facing an enormously elevated, serious and preventable risk. That risk is not being taken seriously and those cancer cases are not, on the whole, being prevented. Work-related cancer is far more common in blue-collar workers – there is an undeniable correlation between employment in lower status jobs and an increased risk (33). Studies have found, for example, that 40 per cent of the lung and bladder cancer cases in certain industrial groups can be caused by occupational exposures (34). French statistics office figures published in 2005 found 1 in 8 workers were exposed to carcinogens at work, but that the figure was 25 per cent for manual workers and just 3 per cent for managers (29). The asbestos cancer mesothelioma is one of the most stark examples. A 2004 British Medical Journal editorial on the UK asbestos cancer epidemic noted: “For a man first exposed as a teenager, who remained in a high risk occupation, such as insulation, throughout his working life, the lifetime risk of mesothelioma can be as high as one in five. There are now over 1,800 deaths per year in Britain (about one in 200 of all deaths in men and one in 1,500 in women), and the number is still increasing” (35). According to the 2005 UMASS Lowell report (11): “Unequal workplace exposures among different populations provide further indications of the ability of occupational exposures to cause harm.” It adds that studies in the US steel industry found the highest rates of lung cancer – 10 times expected – were in non-white workers, employed in the highest risk jobs. This racial inequality in occupational cancer risks has been reported in a number of studies (36). According to the CAREX report for Great Britain (29), all the workplace exposures to carcinogens were restricted to about one-fifth of the working population. If the occupational cancer risk was equal across the population, based on HSE’s figure of 6,000 deaths a year, this would equate to 1 per cent of all deaths being caused by occupational cancers in any given year. However, the responsible exposures are limited to a much smaller group who bear most of the risk, suggesting that 5 per cent or more of deaths in this group could be caused by occupational cancers. “Instead we continue to have a narrow, skewed and flawed focus on lifestyle factors that ignore other exposures to carcinogens. This may reflect government policy which bends to the wishes of employers, pushes deregulation and doesn’t have an effective policy on or properly resourced structure to address occupational and occupationally-related cancers. The European Union’s Registration, Evaluation and Authorisation of Chemicals (REACH) draft law, which aims to protect public health and promote a non-toxic environment, has been the subject of protracted and polarised debate between those who advocate a public health approach and those that say it would place an uncompetitive burden on Europe’s chemical suppliers. 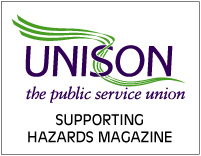 However, the approach has received strong support from the European Trade Union Confederation’s health and safety thinktank, HESA. Its October 2005 report (37) said REACH would prevent tens of thousands of cases of occupational disease every year and would lead to savings running to billions over 10 years. REACH, which is scheduled to come into force in 2007, would apply to chemicals including all those recognised by the EU as causes of occupational cancer. The ETUC believes REACH would lead to substitution of some of the substances of greatest concern with less hazardous substances – including those covered by the EU-wide law on carcinogens (38), which on paper at least encourages substitution of carcinogenic substances with less hazardous alternatives. Sir Richard Doll, who died in July 2005, gained many plaudits for his work as an epidemiologist. But the co-author of the 1981 Doll/Peto report also gained the gratitude and financial support of some of the world’s most hazardous industries. In 1982, the year after the Doll/Peto report was published, Doll – a longstanding consultant to Turner & Newall (T&N), then the leading UK asbestos corporation – addressed workers at one of T&N’s largest UK plants to reassure them about possible health risks. Doll told the workers that the new exposure limit would reduce their lifetime risk of dying from occupational cancer to “a pretty outside chance” of 1 in 40 (2.5 per cent), which was infact an extremely high risk. Doll also declined to testify on behalf of dying plaintiffs or their bereaved families in civil litigation against asbestos industries, but did provide evidence in support of T&N in US court cases. T&N is now owned by the highly profitable US multinational Federal Mogul. The company on 1 October 2001 opted for a business-as-usual bankruptcy to ring fence its assets and jettison much of its asbestos liabilities (40). In October 2005, it was announced that as part of the bankruptcy deal, former T&N workers dying of asbestos cancers would receive just 24 per cent of the compensation to which they were entitled. In the years following the publication of the Doll/Peto report, Doll became a favourite expert of some of the world’s most hazardous industries. In 1983, in support of US and UK petrochemical companies, he claimed lead in vehicle exhaust was not correlated with increasing blood lead levels and learning disabilities in children. The research was generously funded by General Motors. Among HSE’s justifications for sticking with the dangerously outdated Doll/Peto estimate of occupational cancer risks is “the lack of discovery of any major new occupational carcinogens.” This may however have more do with a well-coordinated industry campaign to influence decisions of bodies including the International Agency for Research on Cancer (31) and the World Health Organisation. The authors of studies critical of industry can find themselves facing a barrage of attacks, both from lawyers and the industry’s own PR machine. A second paper in the October-December issue of IJOEH (42) notes corporations “work with attorneys and public relations professionals, using scientists, science advisory boards, front groups, industry organisations, think tanks, and the media to influence scientific and popular opinion of the risks of their products of processes. Union campaigns have been critical in raising the profile of and challenging occupational cancer risks. But fighting carcinogens one at a time is no substitute for a properly designed and operational cancer strategy. 1. Identify carcinogens in their workplaces. This is principally the responsibility of the health and safety activists. 2. Insist that they be removed and substituted with less hazardous substances (or at an absolute minimum that the process be enclosed). Once again this is principally the job of the health and safety activists. Priorities need to be established. 3. Put in workers’ compensation claims for all workers who are found to have cancer that might be related to work. This is the activity of the workers’ compensation activists. 4. Ensure community support by making sure the public knows about air emissions and hazardous waste for workplaces which may cause cancer. This is the activity of the environmental activists. The prevent cancer campaign must have the support and encouragement of the plant committees and the local union leadership. The CAW’s ‘Manual for worker investigators’ of occupational cancer risks outlines and short-term response, a long-term strategy and a template for union action. 1. Gathering of death certificates and other basic data by the local union. 2. Computer analysis of the data by the local union. 3. Possible recommendations for medical examinations to detect cancer in its early stages. 5. Calling on the government, the company, or universities for more comprehensive studies when needed. 6. Possibility of gaining workers’ compensation. 8. Lastly and most importantly, recommendations for substitution, using less hazardous substances or processes, and for engineering controls. 1. Reviewing research in CAW-organised plants, in tandem with government agencies. 2. Analysing results of studies to pick out common elements which deserve more investigation. 3. Pressing for the company to fund and cooperate with the research. 4. Reviewing scientific reports from other industries and other countries on workplace cancer agents which may affect union members. 1. List substances in the plant that are known or suspected hazards. Locations where cancer agents may be found should be noted and workers informed. 2. Arm yourself with accurate information about chemical hazards in your workplace. 3. Make sure the company has fulfilled its obligation to inform workers who are exposed to potential cancer agents and other workplace hazards. It is important to warned exposed workers, even if there is no immediate action taken to control the exposure. 4. Insist on medical programmes for workers who have had exposure to workplace hazards. 5. Press for strict controls even if minimum government standards are being met. Remember, there is no safe exposure to a cancer agent. 6. Remember the basic control techniques: Substitution; process changes; enclosure; local exhaust ventilation; strict housekeeping; and protective equipment. 7. Your workplace health and safety committee is the place to press for these changes. 8. Collective bargaining is another place to press your demands for change (in Canada many workplace rights are negotiated as part of the period contract negotiations, then become fixed rights between contracts). 9. Develop political action to support strong regulations for the control of workplace hazards. Firefighters breathe a cocktail of deadly chemicals as they go about their lifesaving work. There’s an obvious consequence for their health – a higher rate of certain cancers. Across much of Canada this risk is recognised and officially compensated. In the UK, firefighters’ cancers are put down to chance. On 31 October 2005, the Canadian province of British Columbia (BC) followed other provinces and recognised leukaemia, brain cancer and five other kinds of cancer as occupational hazards for long-time firefighters. The changes to the BC Workers Compensation Act will put the province among the leaders in recognising the increased cancer risks faced by professional firefighters, BC government minister Mike de Jong said. The new law recognises primary site brain cancer, primary site bladder cancer, primary site kidney cancer, primary non-Hodgkin’s lymphoma, primary site ureter cancer, primary site colorectal cancer and primary leukaemia as occupational diseases associated with long-time work as a firefighter. This change to the Workers Compensation Act creates a “rebuttable presumption” which means the onus will be on compensation authorities or the employer to bring forward proof to establish why a worker should not be eligible for compensation rather than placing the burden of proof on a sick firefighter. Similar presumptions have been enacted for firefighters in the provinces of Alberta, Manitoba, Saskatchewan and Nova Scotia. None of these cancers are recognised by the UK government as eligible for industrial injuries benefits payouts. • Occupational cancer prevention should be recognised by the government as a major public health priority and should be allocated resources accordingly. • A national occupational cancer and carcinogens awareness campaign should be launched as a matter of urgency. • The Health and Safety Executive should convene a tripartite working party, including representatives of unions, health and safety campaign organisations and occupational disease victims’ and advocacy organisations, to review its occupational cancer strategy. • Wherever possible, IARC Group 1 and Group 2A carcinogens should be targeted for “sunsetting”, a phase out within a designated timeframe, to be replaced by safer alternatives. • Toxics Use Reduction legislation, already used successful in some US jurisdictions, should be introduced to encourage the use of the safest suitable substances and processes. The precautionary principle should be applied to substances suspected of causing cancer in humans. • A national system of occupational health records should be developed to ensure adequate recording of workplace exposures and other occupational cancer risk factors. Employers must have a duty to inform any workers of their exposures to known or suspected workplace cancer risks and carcinogens. • A National Exposure Database should be created. • The Health and Safety Executive should provide resources for training of union safety reps in “lay epidemiology”, techniques for the early recognition of work-related diseases, including cancer. • The UK should implement properly the European Union law requiring workers to have access to occupational health services. • The government Industrial Injuries Benefit Scheme should be revised and extended to include a wider range of occupational cancers in it scope. There should be a consideration of the introduction of a “rebuttal presumption” of work-causation for cancers with an established association with work. Colin Dyal worked for over 30 years for Goodyear in the West Midlands. As an instrument technician, most of his working life was spent in the boiler house, providing power to the large tyre plant. He developed a pain in his left shoulder in his early 50s, but put it down to rheumatism. A physio was worried that the shoulder was not improving despite no apparent injury, and told him to see a doctor. Colin was first told he could have mesothelioma in May 2002, and the diagnosis was confirmed in August that year. He was 56. He won an out-of-court compensation settlement from the company. “The photographic evidence alone was overwhelming. If they had sent in a safety bloke it would have been shutdown. I went in 12 months ago and it was much the same, but the area was cordoned off and the lads had put up danger signs.” In 30 years at Goodyear, he doesn’t remember ever seeing an inspector from the Health and Safety Executive. According to Colin, the boiler house was full of asbestos, layered on the boilers and on the miles of 18 inch pipes running throughout the plant. “It’s pretty much the same now as it was in the 1970s and 1980s. In the 1980s they started a removal programme, but there was so much and removal was expensive so this faded away. Around this time the firm also sent us for regular x-rays, but this also stopped after a while. They did start giving us masks and proper overalls in the late 1980s, but they never said why they were needed. "I didn’t realise asbestos was dangerous because I’d been around it all my life. No-one ever told us the risks we were facing. Now I’m very angry. At the time I knew nothing about the risks, didn’t even think about it. Even in the late 1980s, if you needed to get to a valve that had been covered with asbestos lagging, you’d just knock it off and pick the pieces up off the floor and put them in the bin. Any remnants were just swept up later. Because I was conscientious, if something needed doing I’d just get on and do it.” This lagging contained magnesia cement and other substances, but the main ingredient was loose, friable asbestos fibres. He’d had breathlessness and pain since his diagnosis, but had managed to maintain some of his pastimes, including short rounds of golf, walking and holidays. Six months ago, though, at the age of 59, the symptoms started to get much worse and he had to give up “just about everything. “Now when I climb the stairs to go to bed, I have to sit down for five minutes to get my breath before I can lie down. Barry Welch, thought to be one of the youngest people in the UK to contract asbestos-related cancer, died on 27 April 2005. The 32-year-old father of three from Leicester was diagnosed with mesothelioma in 2004. His family believe he was exposed to asbestos fibres as a child in the 1970s when his stepfather Roger Bugby worked for Palmers Scaffolding. It is thought the exposure came from contamination on Mr Bugby’s clothing when he worked as a scaffolder on Kingsnorth Power Station, adjacent to the Isle of Grain. Barry was diagnosed with the cancer in September 2004 and given just six months to live. In a statement months before he died, he said: “I am an innocent victim. I haven’t really come to terms with the fact that I am going to die and leave behind my wife and three children because of this disease. It just seems so unfair that my life will be cut short, even though I never knowingly came into contact or worked with asbestos.” Solicitors for the Welches are pursuing a claim for compensation against Mr Bugby's former employer. Barry was not eligible for industrial injuries benefit because his asbestos exposure was not while working. And his family will have difficulty securing common law compensation because they will have to deal with all the normal barriers to a successful compensation claim and will not only have to prove his stepfather was negligently exposed to asbestos, but that Barry's exposure was also a result of the company's negligence. When June Hancock was diagnosed with mesothelioma in 1994, she knew this was a death sentence. Her own mother, Maie, had died of the same disease in 1982. The only known cause of this incurable cancer of the chest is exposure to asbestos. June had never worked in the asbestos industry. As a child growing up in Armley, Leeds, she had innocently played amongst the deadly dust billowing out of the JW Roberts asbestos factory. June decided to fight for justice and so instructed a legal team to take the company responsible for her illness to Court. This was the first case brought by a mesothelioma sufferer who had not worked with asbestos. June secured a landmark victory in 1995, paving the way for others to seek justice. She died on 19 July 1997. James Maguire, a former shipyard worker whose wife died from an asbestos cancer has been stripped of his £82,000 compensation payout. His wife Teresa, 67, contracted mesothelioma through secondary exposure to asbestos dust on his work clothes. The Appeal Court ruled in January 2005 that Harland and Wolff, which owned the ship repair yard in Liverpool that employed Mr Maguire as a boilermaker in the 1960s, was not legally liable for Mrs Maguire's death. She died in May 2004, just weeks after the High Court awarded £82,000 damages against the company. The Court of Appeal overturned the decision by a majority of two to one. It said that given the state of knowledge about the risks of secondary exposure to asbestos, the company could not have reasonably foreseen that she would suffer personal injury. In statements before her death, Mrs Maguire described how she regularly washed her husband’s clothes after his return from work, shaking his overalls out in the backyard of their Liverpool home so that 'clouds of dust' were given off. Mr Maguire said there were no facilities for changing or washing at work, so he was forced to wear the contaminated garments home. The omission of occupational cancer from a 2005 Health and Safety Executive online guide on metalworking fluids drew criticism from Dr Frank Mirer, director of health and safety at US autoworkers’ union UAW (Hazards 91). Mirer pointed HSE to a series of studies showing a link between occupational exposure to metalworking fluids and cancer. These include his own 2003 paper in the journal Applied Occupational and Environmental Hygiene which concludes there is 'sufficient evidence' of a cancer risk. The HSE guide only acknowledges non-cancer skin and breathing disorders caused by the fluids. Another 2004 study linked breast cancer in female car workers to metalworking fluid exposure. Hazards magazine warned of the link between metalworking fluids and cancer in 1991 (Hazards 34). Studies have, however, linked breast cancer both to exposure to substances and to shiftwork (Hazards 62). A September 2005 report, 'State of the evidence 2004: What is the connection between the environment and breast cancer', analysed evidence from 21 studies published since February 2003 and found links between exposure to radiation and common industrial chlorinated chemicals, solvents including ethylene glycol methyl ether and breast cancer risk. An October 2005 report, 'Breast cancer – an environmental disease: the case for primary prevention,' concluded their was “incontrovertible evidence” that many industrial chemicals and radiation are major contributors to overall breast cancer rates. Hazards tools webpage for assessing workplace risks. Canadian Labour Congress prevent cancer campaign. Bladder Cancer Amicus-GPM information and advice on the links between bladder cancer and printing. Report on Carcinogens, Eleventh Edition. US National Institute of Environmental Health Sciences/National Toxicology Programme, 2005. 1. Cancer Research. Cancer facts and figures. 3. Twentieth century mortality trend in England and Wales, Health and Safety Statistics Quarterly, number 18, Summer 2003. 4. HSE cancer statistics webpages Website accessed 20 October 2005. 5. Doll R and Peto R. The causes of cancer: Quantitative estimates of avoidable risks of cancer in the United States today. Journal of the National Cancer Institute, volume 66, number 6, pages 1191-1308, 1981. 6. HSE asbestos statistics webpages. Website accessed 20 October 2005. 8. HSE mesothelioma statistics webpages. Website accessed 20 October 2005. 9. Bridbord K and others. Estimates of the fraction of cancer in the United States related to occupational factors. Bethesda, MD: National Cancer Institute, National Institute of Environmental Health Sciences, and National Institute for Occupational Safety and Health, 1978. 10. Proctor R. Cancer Wars. New York: Basic Books, 1995. 12. Landrigan PJ, Baker DB. Clinical recognition of occupational and environmental disease. Mt Sinai Journal of Medicine, volume 62, number 5, pages 406-411, 1995. Landrigan PJ, Marsowitz SB, Nicholson WJ, Baker DB. Cancer prevention in the workplace. In: Greenwald P, Kramer BS, Weed DL, eds. Cancer prevention and control. Marcel Dekker Inc, pages 393-410, 1995. 13. Siemiatycki J, Richardson L, Straif K and others. Listing occupational carcinogens. Environmental Health Perspectives, volume 112, number 15, pages 1447-1459, 2004. 14. Zahm SH and Blair A. Occupational cancer among women: Where have we been and where are we going? American Journal of Industrial Medicine, volume 44, pages 565-575, 2003. 15. Cancer-gate. How to win the losing cancer war. Epstein S. ISBN 0-89503-354-2, Baywood Publishing Company Inc, USA, 2005. 18. Joseph LaDou. The asbestos cancer epidemic. Environmental Health Perspectives, volume 112, number 3, pages 285-290, 2004. 19. Johannes Guo, Timo Kauppinen and others. Risk of esophageal, ovarian, testicular, kidney and bladder cancers and leukemia among Finnish workers exposed to diesel or gasoline engine exhaust, International Journal of Cancer, volume 111, issue 2, pages 286-292, 2004 [abstract]. 21. Department of Health’s Committee on Carcinogenicity report, December 2004. 23. Lee WJ, Blair A and others. Cancer incidence among pesticide applicators exposed to chlorpyrifos in the Agricultural Health Study, Journal of the National Cancer Institute, volume 96, pages 1781-1789, 2004 [abstract]. 24. Navas-Acien A, Pollan M, Gustavsson P, Plato N. Occupation, exposure to chemicals and risk of gliomas and meningiomas in Sweden. American Journal of Industrial Medicine, volume 42, number 3, pages 214-227, 2002. 25. Andersson E, Nilsson R, Toren K. Gliomas among men employed in the Swedish pulp and paper industry. Scandinavian Journal of Work Environment and Health, volume 28, number 5, pages 333-40, 2002. 26. Krishnan G, Felini M, Carozza SE, Miike R, Chew T, Wrensch M. Occupation and adult gliomas in the San Francisco Bay Area. Journal of Occupational and Environmental Medicine, volume 45, number 6, pages 639-647, 2003. 27. Burden of occupational cancer in Great Britain. Summary report of workshop held on the 22nd and 23rd November 2004 in Manchester, Health and Safety Laboratory, HSL/2005/33, 2005 [pdf]. 28. Cancer Research UK: Lifestyle and cancer webpages. Accessed 20 October 2005. 30. Kauppinen T and others. Occupational exposure to carcinogens in the European Union. Occupational and Environmental Medicine, volume 57, pages 10-18, 2000. 31. Huff J. IARC monographs, industry influence, and upgrading, downgrading, and under-grading chemicals: A personal viewpoint. International Journal of Occupational and Environmental Health, volume 8, number 3, pages 249-270, 2002. 32. Tomatis L. Identification of carcinogenic agents and primary prevention of cancer. Presentation to Collegium Ramazzini conference, Bologna, Italy, 20 September 2005. 33. Infante P. Cancer and blue-collar workers: Who cares? New Solutions, volume 5, number 2, 1995. 34. Vineis P and Simonato L. Proportion of lung and bladder cancers in males resulting from occupation: a systematic approach. Archives of Environmental Health, volume 46, pages 6-15, 1991. 35. Treasure T, Waller D, Swift S and Peto J. Editorial. Radical surgery for mesothelioma. The epidemic is still to peak and we need more research to manage it. British Medical Journal, volume 328, pages 237-238, 2004. 36. Murray LR. Sick and tired of being sick and tired: Scientific evidence, methods, and research implications for racial and ethnic disparities in occupational health. American Journal of Public Health, volume 93, pages 221-226, 2003.
for Research, Education and Health & Safety. September 2005 [pdf]. 38. Occupational Carcinogens Directive, European Parliament and European Council, 28 June 1990. European Commission chemicals webpage. Accessed 20 October 2005. 40. Asbestos: Think again Environmental Working Group. Online report. 4 March 2004. 41. Gennaro V and Tomatis L. Business bias: How epidemiologic studies may underestimate or fail to detect increased risks of cancer and other diseases. International Journal of Occupational and Environmental Health, volume II, number 4, pages 356-359, October-December 2005 [pdf].